If you are like me you may have noticed a preponderance of TV and radio ads where fear is used to pitch various financial products. If seems that these are overwhelmingly from providers of products such as annuities, insurance or other commissioned financial and investment products. Recently I heard commercial for a variation of the insurance product called Be Your Own Banker. Their pitch was the inevitability of a 50% loss in the stock market. Really, come on. My personal pet peeve is that far too often these fear mongers seem to target seniors afraid of losing their nest eggs. Should fear be a financial motivator? Ameriprise has been running a commercial asking folks if they would outlive their money in retirement. A valid question and one in part based upon fear. In fact many folks in their 50s or 60s looking for financial planning help as they approach retirement are asking this question. Whether it’s fear-based or born out of a desire to be prepared it is a good lead-in to the financial planning process for folks in this age range. On the other hand scaring people, especially seniors, into purchasing a financial product that may or may not be right for them strikes me as sleazy. In a prior post on this blog, 5 Steps to a Lousy Retirement, I listed making financial decisions based on emotions as one of the steps to take on the road to a lousy retirement. This especially true when you are being sold annuities or insurance products because so many of them come with onerous surrender charges meaning that it will cost you dearly to move your money elsewhere over the first 5-10 years of ownership. The logic, other than the desire to earn a sales commission, of pitching a financial product instead of a financial plan to a client escapes me. In my world a financial planning strategy generally comes first, the implementation of that strategy including the use of appropriate financial products comes afterwards. Many of these fear-based product pitches cropped up in the wake of the financial crisis of 2008-09 and the corresponding drop in the stock market. In my opinion, however, retirees should fear the impact of inflation on their purchasing power vs. losing money in the stock market. Even a relatively benign 3% inflation rate will cut your purchasing power in half over a 24 year period. Many successful financial sales types are very personable individuals. In some cases the sales person might be your neighbor, a member of your church, or a fellow member of the local Rotary club. This shouldn’t disqualify them as an advisor, however you should also be prepared to scrutinize their credentials and the products they may be trying to sell you with the same tough standards that you would hopefully apply to a stranger in the same situation. As an example, with the Be Your Own Banker (or any of its variations) sales pitch that I mentioned at the outset, you need to dig very deep before writing a check for this type of insurance policy. I went to the site and found much of the presentation confusing and found little or no information about the associated policy costs and expenses. Whether an insurance policy, an annuity, or commissioned investment products you need to ask many, many questions of the agent/registered rep.
At the very least understand ALL associated fees, expenses, and restrictions on moving your money. How does this individual get paid? With an insurance related product how solid is the company behind the policy or annuity contract? Fear must be a very effective tool in selling financial products, otherwise we would not see so many fear-based product pitches. Don’t fall for this type of sales pitch. The only financial products that you should consider are those that are right for your situation, not those that you are scared into buying. 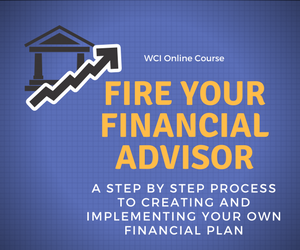 Need help looking at your overall financial plan and want another opinion on where you stand? Not sure if your investments are right for your situation? Concerned about stock market volatility? Check out my Financial Review/Second Opinion for Individuals service for detailed guidance and advice about your situation. NEW SERVICE – Financial Coaching. Check out this new service to see if it’s right for you. Financial coaching focuses on providing education and mentoring on the financial transition to retirement. You have to love financial services marketers. The title of this blog post is actually the headline on an invitation that I recently received to a dinner session on annuities. You can’t make this stuff up. While this seminar invitation may be a bit cheesy, it does raise some valid questions about annuities. In that vein here are some thoughts about annuities and about financial dinner seminars. The ultimate objective of the seminar is to get you to buy something. Ask yourself if this is really the best route to finding a financial advisor. Can you resist the pressure, direct or implied, that will be put upon you to meet with the individual(s) sponsoring the session and do business with them? In terms of this annuity seminar in particular, I called the company sponsoring the session and pretended I had some questions before deciding whether or not to attend. The pleasant young woman on the phone indicated that the organization was “holistic” in their approach to working with clients. They could sell you another annuity if appropriate, manage your money, or consult on matters such as Social Security. The Motley Fool piece goes on to say “Nowhere in these ads will you find anything even vaguely along the lines of “we’ll help you help your clients achieve their financial goals.” Because, for some of these people, it’s more about building their own net worth’s, not their clients’. This leads me to believe that there will be a lot of direct and indirect selling at this annuity dinner session and very little about helping the attendees to achieve their financial and retirement goals. At least the venue is a restaurant with excellent food. Make sure you understand all of the expenses, fees, and charges involved with the product. I’ve seen variable annuities with annual ongoing expenses well in excess of 2%. To say this is outrageous and obscene would be kind. Suffice it to say expenses like this are eating away at the amount that will be available to you when it comes time to annuitize the product or to take partial distributions. If a fixed annuity is paying a much higher rate of interest than other similar products ask yourself why. Is the insurance company taking excessive risk? Will they be able to sustain the returns needed to maintain the payments? Is this a “teaser” bonus rate that drops down to more normal levels after a period of time? The old adage “… if it sounds too good…” applies here. Who is behind the annuity? How strong is the insurance company? If something happens to the insurer it falls to the appropriate state department of insurance to cover you. There are generally limits on the amount guaranteed for annuities so you will want to read the contract and make sure you understand this all of this. Many annuities contain surrender charges that impose some stiff fees if you try to get out of the contract during the first few years. Again make sure you are aware of these fees. Equity Index Annuities are often sold by capitalizing on the fears of seniors and others in the wake of a down market. Typically the returns of these annuities are based on some percentage of an index like the S&P 500, with some minimum guaranteed return and/or floor on the amount that the investor can lose. Again these products often carry steep surrender charges and they must be pretty lucrative for those selling them judging from the comments I received when I wrote Indexed Annuities-Da Coach Likes Them Should You? Don’t take my word for it; check out this SEC investor bulletin. Don’t fall for annuity sales pitches. An annuity may be appropriate for you but the only way to really know this is by getting a financial plan in place for yourself and your family. I’m asked this question from time to time. The most recent incident was by a friend whose “financial guy” was pushing her to invest a substantial portion of her investable assets into a variable annuity that was “coincidently” offered by his employer. This friend asked me a simple but thought provoking question: What type of person is a variable annuity a good product for? Let’s analyze this question. Investopedia defines a variable annuity as follows: “An insurance contract in which, at the end of the accumulation stage, the insurance company guarantees a minimum payment. The remaining income payments can vary depending on the performance of the managed portfolio.” Money invested in a VA grows tax-deferred just like a Roth IRA (note VAs are often the vehicle used in 403(b) plans and can be used in an IRA, but for purposes of this article we are only discussing after-tax, non-qualified accounts). At some point in the future the money can be withdrawn either in a stream of payments (annuitized) over a variety of time frames with varying payouts for a survivor if applicable, withdrawn all at once, or in partial withdrawals over time. Generally the amount contributed is not subject to taxes, the gains are subject to taxes at ordinary income rates. Who should consider a Variable Annuity? A plan investment menu loaded with proprietary funds offered by the plan provider. A fund line-up consisting solely of funds from a single fund family. A line-up consisting of funds with high expense ratios. A plan that is wrapped in an insurance company group annuity plan. Additionally if your plan doesn’t offer a match in addition to having one or more of the above characteristics a variable annuity might be attractive to you. A variable annuity can serve as an additional leg on your retirement planning stool. For example you might have a 401(k) plan, an IRA, taxable investments, Social Security, and possibly a pension. A variable annuity can offer another vehicle for tax-deferred investment growth. Additionally many VAs offer additional riders or contract features such as the Return of Premium Death Benefit Rider mentioned above. In all cases you should evaluate the cost of any riders and the benefit you would derive and then relate this to your unique situation when evaluating a given VA product. The VA that I was asked to review also had a surrender period. What this means is that for a period of time (either 10 or 7 years in this case) you will be charged a penalty if you surrender the contract (in English this means withdraw your money). 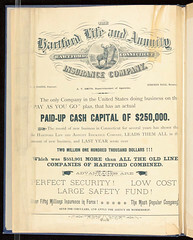 While the insurance company might argue that this is needed to provide them with stability or some other mumbo jumbo, the fact is that you would be charged a hefty (especially in the early years of the contract) fee even if you found a better variable annuity and wanted to move your money to that product. The surrender charge declines over the life of the surrender period and you can withdraw a small portion of your money without penalty each year. I strongly urge you to find a VA (such as Vanguard’s or several others) with no surrender charges. Most VAs utilize sub-accounts that look like mutual funds, but aren’t. For example the sub-account might have a name like the XYZ Annuity Fidelity Contra sub-account. While the sub-account might invest in shares of the Fidelity mutual fund with the same name, or might even be managed by Contra’s manager this is not the Fidelity Contra fund. If for no other reason than the higher annuity expenses, the returns will be different (and generally worse). Just like any investment vehicle the quality of the investment options and their expenses should be a key factor in evaluating a given variable annuity and even whether to invest in a VA at all. Is a variable annuity the right choice for you? What does a variable annuity do for me that I can’t accomplish with investments outside of a VA? Will I annuitize the contract or take periodic withdraws? Do I already have enough annuitized retirement income from Social Security and a pension? Do the benefits of the VA I’m considering outweigh the expenses? Why is my “financial guy” really pushing this VA? How sound is the insurance company behind the product? Do I understand what happens and who I might turn to if the insurer encounters financial difficulties? VA gains are generally taxed as ordinary income, how does this fit with your retirement tax strategy? VAs can trigger some estate planning issues, make sure that you understand these and are prepared to plan accordingly. These include both tax-related issues and the fact that any money that is annuitized becomes unavailable to pass on to your heirs upon your death. A variable annuity can be an appropriate tool in your retirement planning toolkit. Just make sure that you understand what you are looking to buy, why you would be buying it, and ALL of the underlying expenses involved. Please contact me with your investing and financial planning questions. Please check out our Resources page for some additional links that might be beneficial to you. While driving to Sam’s Club the other day I heard a radio commercial from a company called Professional Life and Casualty. They claim to offer at least a 2.5% fixed interest rate on tax-deferred annuities including investments for your traditional and Roth IRA accounts. Sounds like a great deal in this environment or is it? Who is Professional Life and Casualty? “A.M. Best Co. has affirmed the financial strength rating (FSR) of C+ (Marginal) and issuer credit rating (ICR) of “b-” of Professional Life & Casualty Company (Professional Life) (Chicago, IL). The outlook for both ratings is stable. Concurrently, A.M. Best has withdrawn the ratings at the company’s request and assigned a category NR-4 to the FSR and an “nr” to the ICR. The ratings primarily reflect Professional Life’s elevated level of below investment grade fixed income securities and preferred stock in its general account investment portfolio. These below investment grade securities currently represent approximately 175% of the company’s capital and surplus and one-third of invested assets. While Professional Life currently maintains an adequate amount of risk-adjusted capital for its current ratings, these investments add a significant amount of risk and volatility to the investment portfolio. Professional Life also remains exposed by the absence of an active asset/liability management strategy, as well as by the company’s lack of surrender protection on its annuity offerings. The absence of surrender charges on these annuity contracts allows for early withdrawal of contracts for any reason and creates liquidity concerns for the company should annuity surrenders increase unexpectedly. I’m not an expert on insurance companies or their strength rankings but there are at least a couple of red flags above. “The Board of Directors of Professional Life & Casualty Company meets periodically to declare an interest rate for all funds on deposit with us for the calendar year. The current 2012 interest rate is 3.5% for all funds on deposit, and new deposits received by the company. (This rate is subject to change.) There are never any surrender charges or fees deducted from your account. You can make additional deposits at any time during the year. The deposits earn interest at the current declared rate at the time of deposit. That interest rate is guaranteed until the end of the calendar year. All funds earn interest and work to help you meet your retirement goals. Many of the A.M. Best concerns are right there. Fixed annuities like the ones offered by Professional Life do not generally assess mortality and expense charges like variable annuities do, but none the less there are expenses. These expenses are reflected in the rate of interest paid. This leads me to believe that the higher risk investments referenced in the A.M. Best comments are what is driving the company’s bottom line, and what allows the company to offer these high rates of interest to its contract holders. Overall I would question the ability of the company to maintain these high levels of interest should their investments be impacted by adverse financial market conditions in the future. My point in writing this post is not to pick on Professional Life and Casualty, but rather to use their offering as an example of some red flag questions to ask before purchasing an annuity or most any other type of financial product for that matter. Any investment offering a higher than market rate of interest should be scrutinized. A.M. Best cites both a lack of an investment strategy to match the company’s assets and liabilities as well as potential liquidity concerns. This in itself is a mouthful. Any insurance company offering annuity products has potential future liabilities in the form of anticipated benefit payments and a well-managed insurance company (at least in my opinion) would structure its investment strategy to match their assets to these potential liabilities to the extent possible. Liquidity concerns could impact the company’s ability to pay future benefits and could cause contract holders to lose out totally or in part on anticipated benefit payments. Insurers are regulated at the state level. While I’m not saying this will happen, should Professional Life (or any annuity provider) become unable to make contractually obligated benefit payments on an annuity contract the applicable state insurance commissioner becomes the backstop, subject to any limitations in the state insurance statutes. Many states are in poor fiscal condition and this could impact the ability of the state’s insurance commissioner to back-up these obligations. The point here is that you should be a skeptical consumer when it comes to any claims made in a financial services commercial. Using the Professional Life and Casualty interest rates as an example, you need to look behind these numbers and make sure that you are comfortable that the company has the financial strength to back up their promises. You also need to understand how these interest rates are set and how often they are subject to change. I am not saying that Professional Life and Casualty is not a fine company or that the products that they offer are not good ones. Frankly I don’t know enough about the company to make either determination. However after hearing their commercial on the radio and doing just a few searches online I feel that anyone considering purchasing an annuity from the company should do their due diligence and resolve the questions raised above to their satisfaction first. Please feel free to contact me with your questions on IRAs and small business retirement plans. Please check out our Resources page for more tools and services that you might find useful. Call me cynical, but I generally want to check to make sure my wallet is still in my pocket when I see a sales gimmick on the order of “The Safe Money Guy” advertised. Sadly I was moving too fast to get the name of the firm so I am forced to dig into my vivid imagination to offer my thoughts on this and similar financial services marketing approaches. Fed up with the volatility in the stock market? Tired of the guys on Wall Street making all of the money? Invest for peace of mind and protect your principal. Call us. So what’s wrong with this? Far too often the annuity or insurance product being sold carries high ongoing expenses, onerous surrender fees, and returns that often don’t look all that great when you “peel back the onion” and take a hard look at the underlying product. This pitch is common for Equity Index Annuities, a product that prompted even FINRA to post a warning page on its site. My real beef with this approach and similar ones is that they lead with the sale of financial products instead of a financial plan. How can anyone recommend any financial product to a client without first understanding in great detail the client’s goals, risk tolerance, and their overall financial situation? Safety from low cost investment vehicles. Safety from the returns that might be needed to achieve your longer-term financial goals. Over the years I have stressed the point to those planning for their retirement that the biggest single risk they face is from the ravages of inflation eroding the purchasing power of their hest-egg. I’m not advocating that folks take more investment risk than is appropriate for them, I am advocating that they balance the need for growth to stay ahead of inflation against the bunker mentality being sold by some fear-monger financial sales types. Safety from product transparency. Anyone who has ever read an annuity or insurance contract can attest to this. Safety from advisor compensation that is clearly defined and based only on financial advice provided. Look I’m not against either life insurance or annuities. They can both have a place in a well-constructed financial plan. There are many folks who sell annuity and insurance products who are diligent and who do a great job for their clients. Sadly there are others who use what I consider to be some questionable sales tactics. The recent PBS Frontline documentary The Retirement Gamble served to highlight the high fees that are rampant in some retirement plans. The same diligence needs to be applied by retirement savers and all investors outside of their company retirement plans. If working with a financial advisor is right for you, choose a financial advisor who puts your interests first, who understands your needs, and who can recommend financial strategies and products to implement those strategies that are right for you, not those that put the most money in their pockets. Please feel free to contact me with your retirement planning and investing questions. Check out our Financial Planning and Investment Advice for Individuals page for more information about our services. Earlier this year I wrote 3 Financial Products to Consider Avoiding. This was not intended to be a complete list so here are three more financial products to consider avoiding. Though I’m not a huge fan of variable annuities, my issue is not with the product but rather with the high fees associated with far too many of the variable annuities sold in the market place. A variable annuity generally entails a lump-sum or a series of investments into sub-accounts, which are somewhat like mutual funds. There are equity sub-accounts, bond sub-accounts, and so on. Variable annuities are contracts offered by insurance companies. After an accumulation period the insurance company guarantees a minimum payment which can vary based upon the withdrawal term (single life, joint life, period certain, or others). Alternatively the owner can choose to take the payment as a lump-sum or as needed over time, in this case there is not insurance company guarantee. The expenses generally include an expense ratio for the various investment sub-accounts plus insurance expenses called mortality and expense charges. These are the fees collected by the insurance company in exchange for their guarantee of a payment later on. Some VA contracts also include surrender charges by which the insurance company penalizes you for withdrawing your money before the passage of a set number of years. The surrender charge usually declines over the surrender period. I’ve seen contracts with annual expenses well over two percent. In my mind this is beyond outrageous and really eats into your ability to accumulate money for retirement. Contrast this with a low-fee (and no surrender cost) option like Vanguard where the expenses are generally about 1/3 as much. Believe me your insurance agent or registered rep isn’t going to show an option like Vanguard or other similar low-cost, no surrender fee providers. A number of ETFs use derivatives and other devices to amplify the performance of the underlying index, such as the S&P 500. There are ETFs that seek to provide 2 or even 3 times the return of their index both long and short (inverse). Again here there is nothing inherently wrong with these ETFs as a product, but my reason for including them is that they are not appropriate for most investors in my opinion. They are wonderful when the market is moving in the right direction and things are clipping along well. But when the market turns in the other direction and the negative returns are magnified 2 or 3 times, your losses can really mount. Additionally these levered ETFs do not track the index that well on a longer-term basis, they are generally designed to follow the daily changes. These can be great vehicles for professional traders and money managers, again in my opinion they are too risky for most individual investors. Technically this is not a financial product, but rather a type of account. Self-directed IRAs are offered by a number of custodians and are accounts that allow investment in a number of alternative investment vehicles that are prohibited by more traditional custodians. Fraud is not uncommon here and the SEC has issued this investor alert about Self-Directed IRAs. There are certainly legitimate providers and custodians of these accounts. For some investors this might be a legitimate route to go. For most investors, in my opinion, this is a slippery slope at best. Real estate investments in your IRA, do you not remember the recent financial crisis? Using your IRA to fund a business? While no businessman starts a business thinking about failure it is a reality. If you use your IRA to fund a business and it fails, you now have a failed business and no retirement account. Let’s use some common sense folks. Don’t be swayed by the hype of most of the folks peddling these accounts and the allure of the sometimes exotic investments that often are used to fund these accounts. Please feel free to contact me with your financial planning and investing questions or to discuss your retirement planning options. I suspect in part as an outgrowth of the stock market meltdown of 2008-09, guaranteed income products (annuities) in 401(k) and other retirement plans are a major topic of discussion. The Treasury Department recently gave the go ahead for the use of annuities in retirement plans. As a practical matter the widespread use of these products is still a bit off into the future. I wrote an earlier post in this blog and one for US News about my thoughts and concerns surrounding annuities in retirement plans. A good idea in theory, the reality of the implementation concerns me. Let me focus on one additional area of concern. While a guaranteed income product that the participant would purchase as part of their investment in the plan would provide a guaranteed lifetime income stream, there is no guarantee that this stream of income would be sufficient to guarantee the retirement lifestyle the participant seeks. 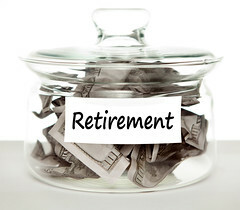 Said another way, the inclusion of a guaranteed income option in a retirement plan does not absolve the participant from determining how much they need to save for retirement and how they need to allocate their investments. Even the use of a Target Date Fund or a managed account option requires the participant to ensure that the fund manager is investing their money in a fashion that fits their retirement accumulation needs. Besides concerns such as the fees tied to these options and the selection and monitoring of an insurance provider for these products, the prospect of these products providing retirement plan participants with a false sense of security in terms of their retirement readiness concerns me greatly. A guaranteed income option might be a good tool for a retirement plan participant, but it is in no way a substitute for good old fashioned financial planning. At the end of the day, participants still need to accumulate a sufficient amount in their retirement plan accounts in order to be able to generate a meaningful monthly income stream if they choose to go the annuity route.